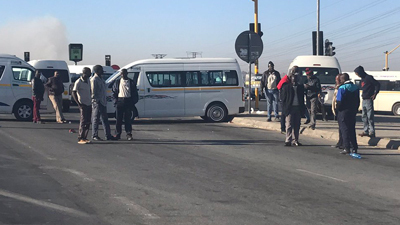 Rival Soweto taxi associations, WATA and NANDUWE are expected to make a public apology and renounce violence on Monday. This is part of efforts to try and persuade Gauteng Roads and Transport MEC, Ismail Vadi, to lift the closure of ranks and routes operated by the two warring associations. The closures kicked off on Friday and will remain in place for the next three months. The closures were prompted by the continued turf wars between members of both associations. Three people have lost their lives and several others were injured, including commuters since the beginning of the year. The National Taxi Alliance, which represents both associations, says they are hopeful the closure of the ranks and routes will be lifted. The post Taxi associations to make public apology, renounce violence appeared first on SABC News – Breaking news, special reports, world, business, sport coverage of all South African current events. Africa's news leader..